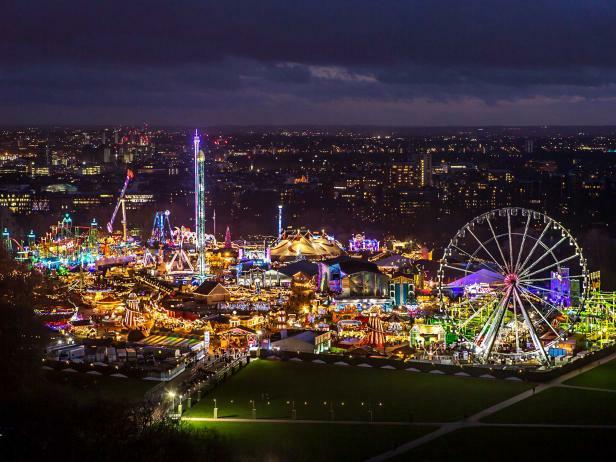 Are you longing for a break from the traditional winter wonderland? Looking to celebrate the festive season in the sun? Then look no further than Dubai. Celebrating the festive holidays in the City of Gold is an experience unto itself. 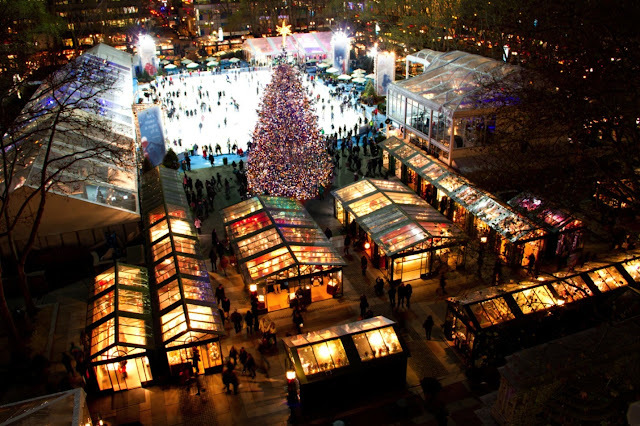 As a renowned travel destination, there are plenty of things to see and do during the winter break. If you’ve never been to Dubai, or this is your first time visiting during the holiday season, then pack your bags — a world of splendor and glamor awaits. And with family hotels in Dubai getting into the festive spirit, Dubai will feel like a home away from home. Here are our top picks to help you get the most out of your Christmas break. Dubai is undoubtedly known as a shopping haven. But during the winter break, Dubai celebrates a month-long shopping extravaganza known as the “Dubai Shopping Festival” or DSF. Held from December 26th till January 28th, the DSF is the largest shopping festival in the Gulf region. Not only does the DSF give the city a vibrant and cheerful vibe, bargain hunters get to celebrate with the ultimate sale of the year. During the DSF, malls, retail shops, shopping venues, and markets all slash their prices to compete for your business. Some will even offer 90 percent off promotions. But amazing deals and huge discounts aren’t all the DSF has to offer. Expect to see a host of competitions and prizes to celebrate the festive season. Even if you don’t celebrate the traditional festive season, December still is still a month of celebration. Every year on December 2nd, the city-state comes together to celebrate UAE National Day. This is a celebrated day that marks the unionization of the United Arab Emirates (UAE) back in 1971. As such, the city celebrates with a week-long observance complete with festivities and fireworks. Beyond retail offerings, National Day has cultural festivals, parades, and delicious traditional cuisines on the menu. No matter your preference, during the National Day festivities, there’s something for everyone. Dubai may not rival Europe’s famous Christmas markets, but it certainly pulls out all the stops to try. Of all the Christmas markets that populate the city, none may be as celebratory and as festive as the Winter Garden Market at St. Regis Dubai Gardens. As the year turns festive, so does St. Regis Dubai, transforming itself into a winter wonderland amidst the desert. Experience the holiday magic at this enchanted winter wonderland with its lineup of holiday-themed activities and entertainment. There’s also festive-themed décor, glittering lights, and a Christmas Tree Lighting Ceremony to help you get into the festive spirit. Christmas in Dubai means ‘tis the season to be feasting. Shopping may make the headlines outside of Dubai, but anyone who’s ever visited Dubai knows that one of the best things about the city is its brunch parties. Brunches in Dubai are an institution. These multi-hour feasts have quickly become an unmissable city tradition. The best restaurants in the city pull out all the stops to throw the ultimate Christmas feast. Each lays out a luxurious Christmas brunch menu that will rival any home cooking. All the trimmings aside, there are also hours of free-flowing bubbles that will get you in the mood for the holidays. All the experiences on the list are so far a reflection of Christmas festivities that can be enjoyed at home. So why not try something a little more local and homegrown? The dunes and desert landscape that surround the city provide the ultimate adventure for thrill seekers and those looking to escape the city. Travel through the desert by 4x4 or by camel for a more Arabian cultural experience. Whether it’s festive feasting, traditional Christmas markets, or shopping aplenty, a yuletide trip to Dubai should be on your Christmas wish list. No matter what festive experience you’re looking for, Dubai has it in spades. And as the year comes to a close, Dubai is where you’ll want to be. No one celebrates the New Year quite like the City of Gold. As the clock strikes midnight, you’ll be witness to a fireworks display like no other. Then, finish off the night with a five-star hotel party only experienced in Dubai. Thomas Grundner is the Vice President of Sales and Marketing for JA Resorts & Hotels. He has more than 20 years of expertise in the hospitality and leisure industry – across international markets including Germany, Egypt and Spain. Grundner oversees all sales, marketing and revenue efforts as the company continues to build on its key growth and development strategies and further cultivates its unique blend of "Heartfelt Hospitality" and "Casual Luxury." This post lists the best 6 April occasions and also family-friendly activities around evening time, and lots of free events. It's the low tourist season, which implies you won't experience an excessive number of lines to get to see the popular attractions. However, you are coming early or late in the month, look at the guides for April. Things to Do in NYC guide. The parade route begins 44th Street and Fifth Avenue and proceeds on the fifth avenue to the distance to 79th St, completed at the American Irish Historical Society at East 80th Street. 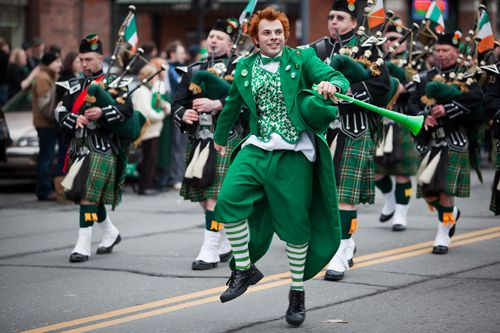 This yearly parade draws a large number of people from all over who come to commend their Irish legacy or simply participate in the festivities. There will be bunches of green wherever from adults dressed like leprechauns and dogs with green neckties. Make sure to stop in St. Patrick's Cathedral while you are there. Weather conditions in New York at the time of parade will be mostly sunny & you can enjoy the parade end. 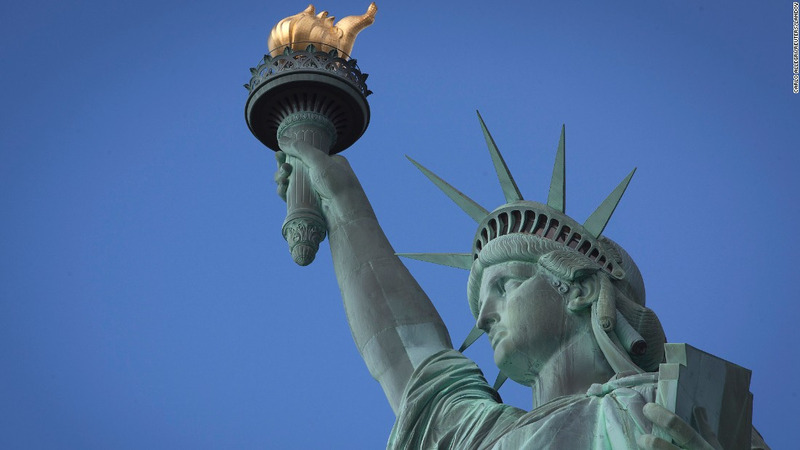 The walk is Women's History Month and what could be better than to remember it than an excursion to Lady Liberty! April is a decent time also on the grounds that it is still off-top tourist season so lines are shorter, sparing you time. 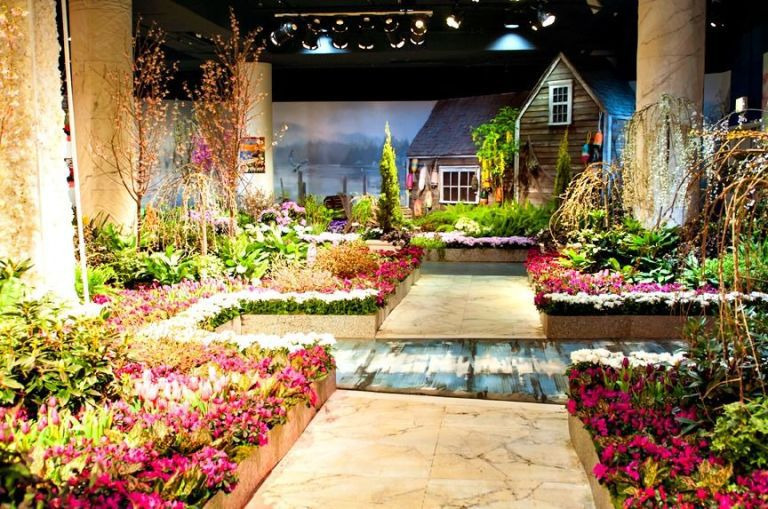 For two weeks, this famous notable New York retail chain showcases garden establishments made by leading botanical specialists. The show incorporates wonderful, bright floral decoration designs and in addition, special occasions including live music, children's activities, and workshops will take place all through the show. You don't have to worry about climate you can easily know about the weather by daily forecast new york. 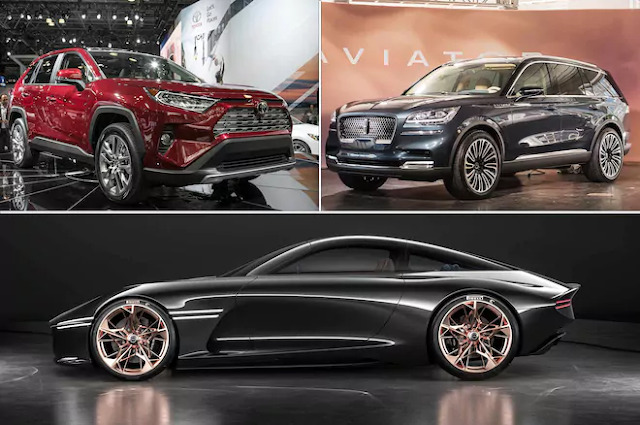 For a long time, the New York Auto Show has been a place for the world's leading car producers to flaunt their most recent and most noteworthy offerings. Car debuts, alongside the most creative car technology, are a major piece of this occasion. This is an extraordinary family-activity particularly if you have children who like splendid, shiny new cars! 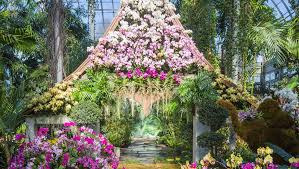 The sixteenth yearly Orchid Show is offering guests far beyond an opportunity to encircle themselves by the magnificence of thousands of varieties of orchids. Guests can find out about the wild adventures of orchid hunters, people who were gotten up to speed the nineteenth-century "orchidelirium," and took a chance with their lives hunting special orchids found just in the most profound jungles around the globe. If you worry about What is the weather outside, you can easily check the weather around the world with one click. Alongside now deceased Jerry Garcia, these two music artists established The Grateful Dead in the late 1960s. 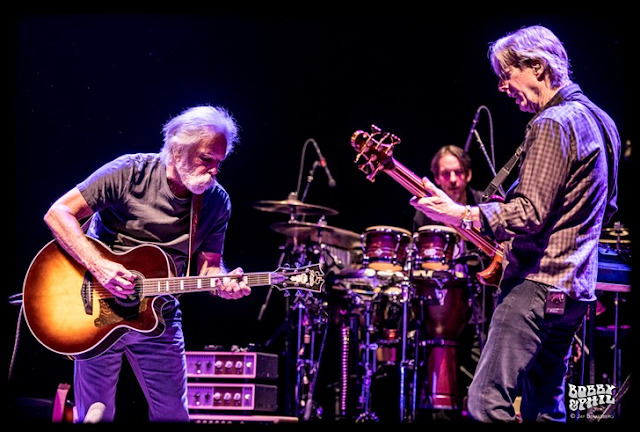 Presently Weir and Lesh are meeting up for two nights of exceptional music at an extremely special event. The incredible nature is one of the top reasons tourist love Split, Croatia. There is the Marjan hill which was historically used as a park. This hill is covered by a beautiful and dense forest. You can walk around, jog or cycle on this hill as you the forest park. While on this hill, you can catch the impressive view of the city and the neighboring Kozjak Mountains. If that is not enough, there are several sandy beaches like the Bacvice beach, Firule beach, Bene beach, Jezinac beach and Kasuni beach where you can relax and enjoy sunbathing. The Balice beach offers fantastic seaside nightlife while the Firule beach, though small, offers the best alternative for a quality family vacation. 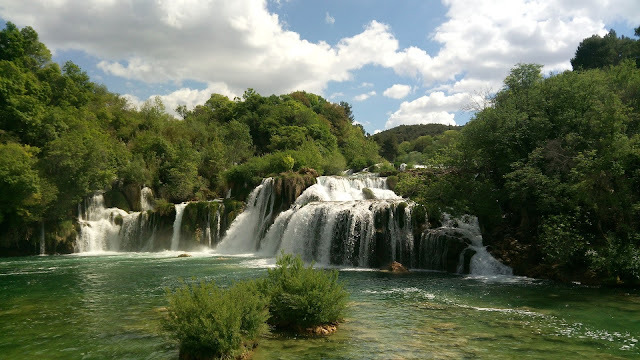 You can also enjoy a day trip to Krka National Park. A walking tour or a scenic boat ride through this Park is just breathtaking. There are organized tours from Split for 28€ per person. Split experiences good weather and it is generally warm. The best time to visit Split is during the months of July, August, and September when it is pleasantly warm. July, however, is the hottest month with temperatures averaging 30ºC. The best time to enjoy the sunbathing and swimming is during the month of August when the sea is warm. The city also experiences rain and cold weather during the months of March. During this month, the morning and evening air is usually crispy. The Advantage of Split is that the winter is not very cold and it can be pleasant. Split is unequaled when it comes to its history. Many tourists love to go to Split to explore the great historical centers. One major historical site is the Diocletian palace. This palace was originally used to house Emperor Diocletian. You can have a walk at the palace through the narrow passageways as you enjoy the walls. This highlight of the Roman ruling is also home to most leading commercial outlets in Split. 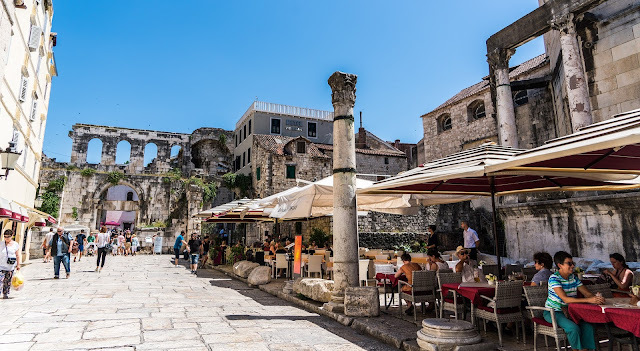 Other interesting historical sites to visit in Split include the Peristyle as the central square of the Palace, the Temple of Jupiter and the Klis fortress. Tourist visits the Temple of Jupiter to experience Roman's religion and history. 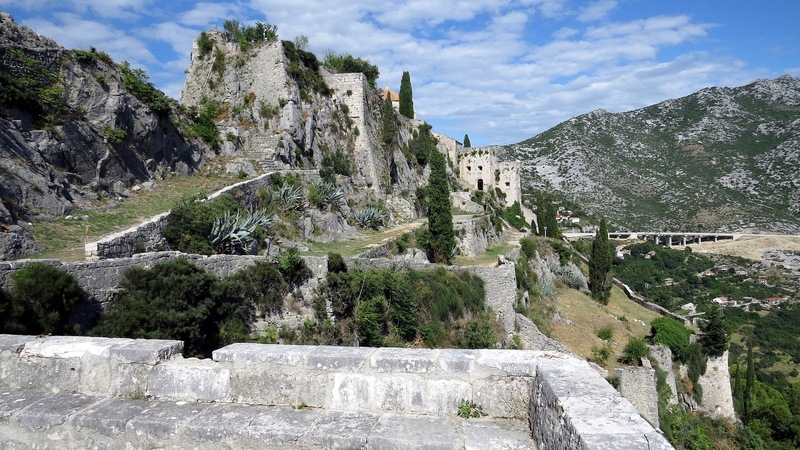 The Klis fortress, on the other hand, is a symbol of the Croatian history. The fortress is also known as the fictional city of Meereen from the TV show Game of Thrones. The city of Split is known for delicious Mediterranean cuisine. The food is the top class which goes well with famous Dalmatian wines such as Plavac Mali (red) and Posip (white). Some of the traditional meals you should try are: Pasticada (beef in tomato sauce with gnocchi), Mussels served in Dalmatian vine, Black risotto, and famous lavender ice cream and rozata crème caramel. 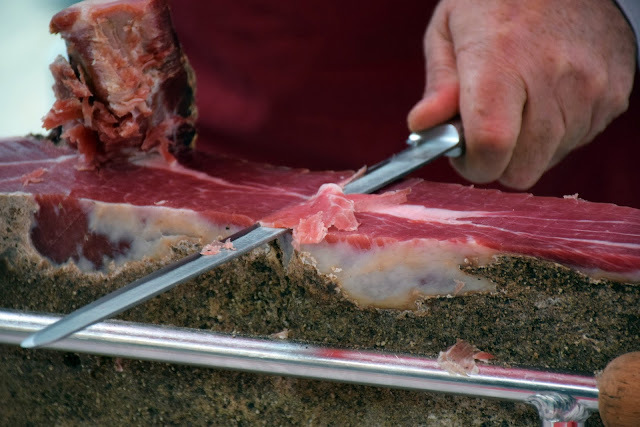 There is also fresh seafood from the Adriatic Sea that is readily sold in the market. Tourist can join the local shoppers in the morning at the fish market situated on the western side of the Diocletian palace. 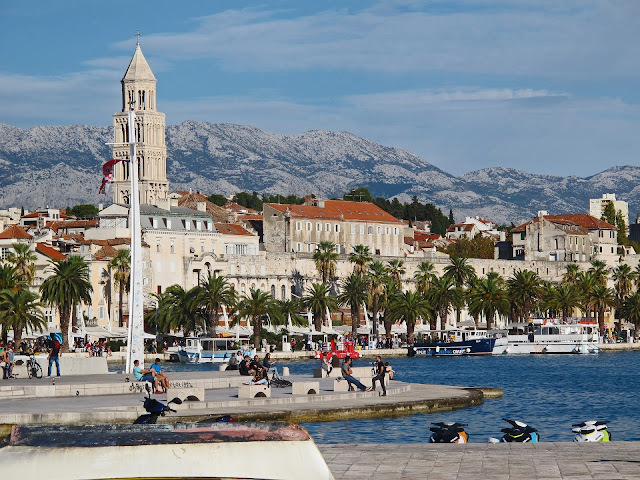 Split is also a great transition point to the most nearby Islands and cities. 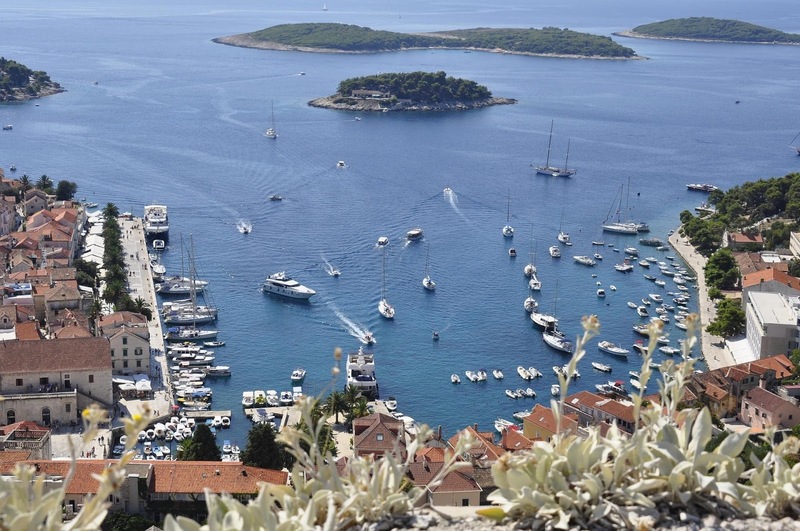 From Split, you can easily hop to islands like Hvar, Brac, and Vis by sea. It is also a good transition point to the major cities like Trogir and Dubrovnik. You can get to Trogir town by bus or you could decide to take a boat to enjoy your day trip. The taxi from Split to Dubrovnik is also a great option for a one day trip. Frequent flyer programs, also known as loyalty programs are now common in the travel industry. They have evolved with time and have only gotten better. Initially when these programs were introduced, only the actual frequent flyers were a privileged part of them but that is not the case anymore. Literally anyone can sign up and make use of miles now. Maybe this is one of the biggest reasons behind the popularity of these programs. In this article, we explore the different aspects of frequent flyer programs and list 9 major facts about them. Like mentioned above as well, now everyone can make use of airline miles. There are no restrictions or conditions attached, which works greatly in the favor of travelers. For a long time, there was only the concept of earning airline miles. But now you can actually buy airlinemiles online through websites. This has made things quite easy for those who normally travel on a short notice period. Sadly airline miles come with an expiration date. This means that if you don’t redeem them before a certain time period, they will go to waste. Alternatively, you could also consider selling them if you don’t want to redeem them. Expiration dates vary from airline to airline. Partner credit cards make life quite easy by awarding you with miles on signing up and also when you use the card for big transactions. Airlines have different policies regarding the earning of miles. But most commonly the number of miles awarded are based on the distance of your flight or the price you have paid for the air ticket. Needless to say, the longer the distance, the more the miles and the higher the price, the more the miles you earn. Now who would have thought that eating out would help you earn miles? Well, it is true. A meal at a partner restaurant will earn miles on the amount of bill you pay. Dining reward programs are a relatively new idea and all airlines are catching up to it. Sure you can redeem or sell airline miles to avoid expiration but did you know earning more miles will postpone the expiration on the existing ones? Keeping the account in motion helps the miles stay safe and sound. Having a car at your disposal to get around at your travel destination is a blessing. But nothing good comes cheap. Good news is that you can redeem miles to get discounts on rental cars. Achieving the elite status with an airline should be your ultimate goal if you wish to earn bonus miles. Amazing scenery, buzzing cities, good rate of job opportunities and a welcoming environment; everything makes Canada an admired country. Canada is a huge land having regal mountains, virgin forests, mighty coastlines, spacious prairies and also Arctic tundra. Indeed, this all makes this country a preferred destination for immigrants and travellers from around the globe. Any plans for Visiting Canada? Just check out the Visitor visa form for Canada and you can see new roads taking you to this country. This visa is a temporary Canadian immigration alternative that permits the tourists like you to visit Canada for purpose of leisure and tourism. This visitor or tourism visa is valid for six month. These both visas are valid for a fixed time span and cannot be used after they are expired. Talking about the single entry visa, it permits the visa holder to step in Canada just once. Once the visa holder has left Canada, excluding travelling to the US and Miquelon and St. Pierre, he will require a fresh visa to step in Canada again. In case the tourist is going to these mentioned places with their Possessions, he is not going to require any new visitor visa to return to Canada. In case of multiple entry visas, you are allowed to come and go from Canada for the time of six months at a time. It will be without having to reapply every time. This multiple entry visa can easily be valid for around ten years, or one month before a visa holder’s passport gets expired, whichever happens prior. Well, before you begin to apply for visa visitor Canada, you have to make sure that you have read all the given information on the visa/permit needs on the CIC site to make sure that you are eligible for it. Once you are convinced that you are eligible for the permit; go ahead with the procedure. So, don’t stay aloof from your dream of visiting the land of Canada when you have the chance. Just dive into the depths of visa procedures and talk to professional services for successful visa. The first few times you travel, you will make mistakes and spend more than necessary. Time is a great teacher. Gradually, you mend your errors and learn important lessons along the way. The journey from being an amateur traveler to an expert one is quite bumpy. So we better gain as much knowledge as we can from those who have experience and knowledge. 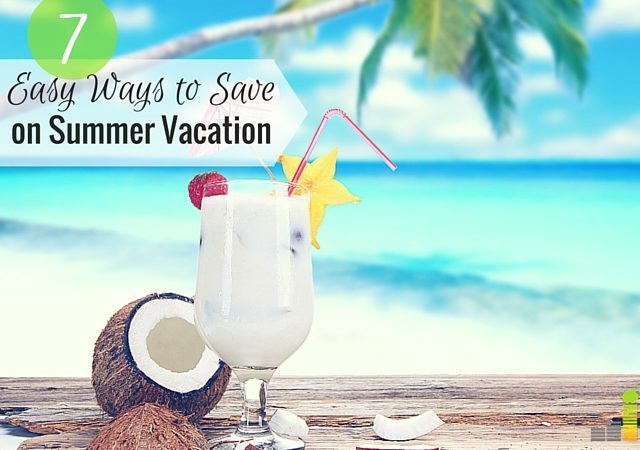 In this article, we discuss the top five travel tricks and tips to save money on vacations as told by travel experts. Which one is better? This a long standing debate. A debate that has no conclusive end. But it is now an established fact that there are many tricks you can apply to bag cheap tickets online. Whereas there are no shortcuts and tricks when it comes to using the services of a travel agent. You have to wholly rely on his skill and knowledge of the industry. Most experts now prefer finding cheap tickets online themselves. Eliminating the middleman is always a good way to save money. Some banks charge an outrageous amount of international fee on every cash withdrawal in an overseas country. Make sure you check with your bank beforehand. If you compromise on the kind of flight you take, you will save a great deal of money. Instead of using a fancy airline, opt for a budget airline. Budget airlines as the name suggest are ideal for travelers on a tight budget. Purchasing flights on the weekend is a bad idea. Normally the fares are higher than normal on Saturdays and Sundays. Tuesdays and Wednesdays are considered great days to make flight bookings. Opting to stay in an expensive hotel during your vacation trip will limit the number of days you can afford to be there. Opting for a cheap hostel means you can stay for as long as you want and manage everything within your budget. This is not a big compromise as you only need a place to crash at night. Save the extravagance for your honeymoon. This is becoming an increasingly common trend in Europe. Of course the option has its risks. But that small percent risk is always present no matter what you do. Normally locals don’t mind helping out tourists. And if you feel the other person looks suspicious, you can always opt not to ride with them. Hitchhiking is not a very reliable option. There is always a chance of you not finding a ride. The local tram or metro are another transport option that are cheap as opposed to taxis and rental cars. For shorter distances, you could also rent a bicycle or walk. In some countries, the tuktuk is a great option. As fun and exciting traveling sounds, it is not a piece of cake. There is a great deal of planning and money involved in travel. Sure this is not apparent when you see traveling photos. In the pictures, you will just see the person standing on the golden gate bridge or posing in front of the Berlin wall. What you almost never realize is the effort that person had to go through to make that picture a possibility. 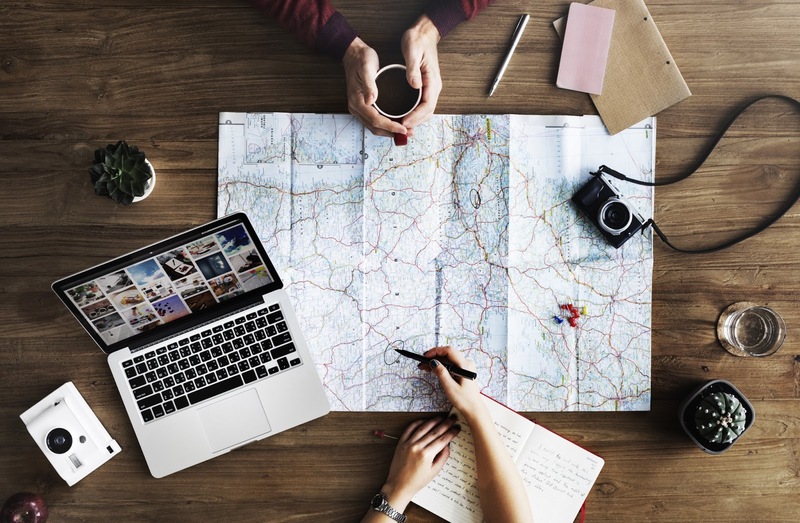 Some efforts that go into travel planning are non-monetary but it cannot be denied that money plays a major role in any travel trip. So what do you do when you run short on cash? 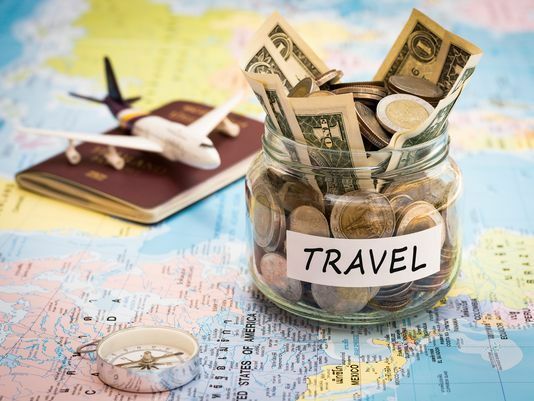 In this article, we tell you some useful ways to cope with financial constraints on a travel trip. You may not realize it but spending money on restaurants twice or thrice every day consumes a chunk of your travel budget. No need to be tempted by fancy eateries brimming with tourists. They are mostly a rip off. Try the local delis and street food. Some famous travelers swear that in many countries, street food is better than the fancy dishes served at proper restaurants. So it is not like you would be making a big sacrifice. Sell airmiles to earn money quickly and easily. You can do it online on multiple websites now. But of course, for this to work out, you should have a good amount of miles accumulated. Only then would the cash shortage be eased a little. There are plenty of ways to earn money online. Some websites will pay you for filling out surveys and some pay for content writing. This is actually quite fun and in fact it is becoming increasingly common to take up work while traveling. It helps you build the travel fund and have a wonderful experience along the way. You could do whatever you feel is most suitable. You could become an English tutor, a translator or work as a cashier for a few hours every day. It is no secret that hotels are pricey, so if you are staying in one, it is better you move out immediately. A hostel may work out better for you if you are low on cash. They are extremely cheap and they offer just what you need – a place to sleep at night. Super touristy places cost money to visit but they are not the only places in the city. If you do your research right, you will find plenty of amazing places that cost nothing and are yet to be discovered by most visitors. Such places are always fun to discover. While most people rave about the beaches of Sri Lanka, there is another thing about the island that stands out and that is its tea plantations. Having spent more than seven days exploring the beach towns, I wanted to head out for the mountains and discover the other landscapes of the island. It was the best decision I ever took. In fact, looking back, I feel choosing Sri Lanka as my vacation destination was the best decision I took this year. It is worth every penny and truly a lovely destination for holidaying. Initially I had no intention to even take a vacation this year. But I was able to come across such a sweet deal on airline miles that it would have been a shame if I had not taken the advantage. To buy miles cheap is no easy task. So I was quite lucky. The miles helped me bag a pretty good discount on the airline ticket and so began one of my most memorable holidays to date. I had chosen Heritance tea factory hotel as my accommodation in Nuwara Eliya. It was a hotel in the middle of tea plantations. But sadly that got fully booked by the time I went to make my booking. But all is well that ends well. The place I ended up staying in was truly magical. The governor chalets faced the famous lake Gregory. The small wooden cabins were cozy and made the stay more unique than usual. I highly recommend the place to anyone planning a visit to this beautiful city. One of the main attractions of the city is the Lake Gregory. It was man made during the British reign. Now it serves as a popular tourist spot. Speed boating and other water activities are extremely popular there. The area surrounding the lake is developed wonderfully. You will find small eateries for snacking and horse riding is common too. Seeing a strawberry is always fascinating but the fun doubles when there is a strawberry shop situated right next to the farm. 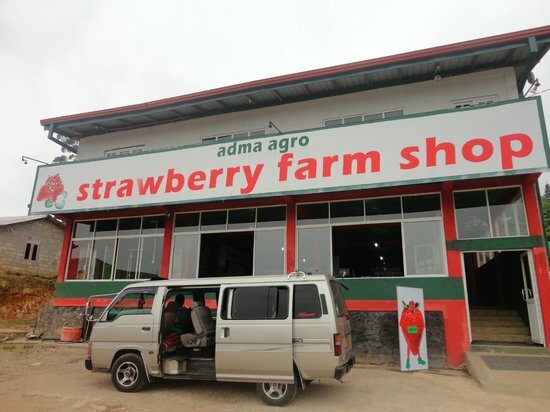 As soon as you enter the shop, the aroma of strawberries hit you. From strawberry juices, shakes, ice creams to strawberry waffles, the farm shop sells mouth-watering goodies. A must visit place in the city. 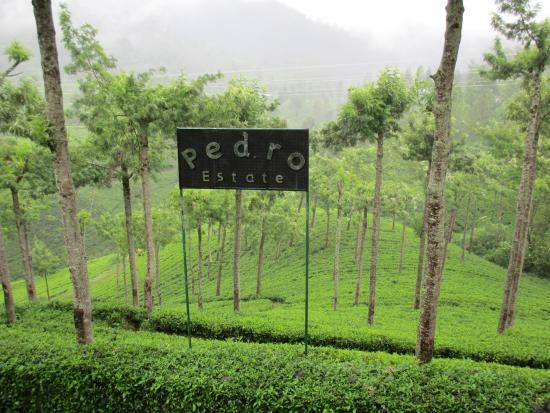 While there are other factories located in the city too, I visited the Pedro Tea Factory. 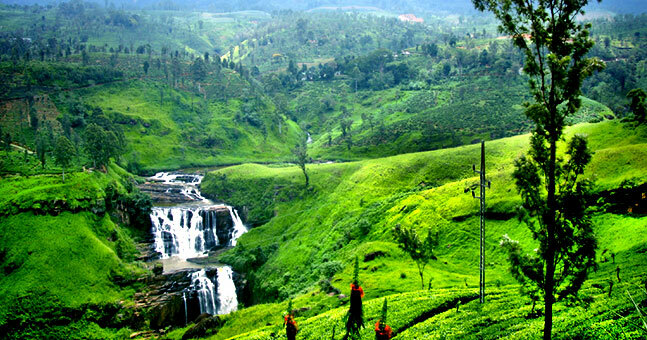 Spread on acres of land, the tea plantations are a sight to behold. The serene surroundings truly make all worries disappear for a while. Of course the factory visit was equally wonderful plus fascinating. You do end buying a whole lot of tea since the aroma is so overwhelmingly good. I am glad I got to discover this sweet and homely city. If I am lucky to buy miles cheap again in the future, I would love to return to the island and make more memories. Mosque is the important places for the Muslim where they can pray and express their grateful feeling to the God. Then, that is the main reason why there are so many mosques that you can find in Indonesia as it becomes a country with the biggest population of Muslim in the world. Even, you will definitely be able to find various exceptional mosques in Indonesia that are so worthy to visit and explore for sure. So then, you can really witness what makes those places stand apart from the ordinary mosque you commonly see. So, what are actually the Unique mosques in indonesia? Let’s figure them out below! 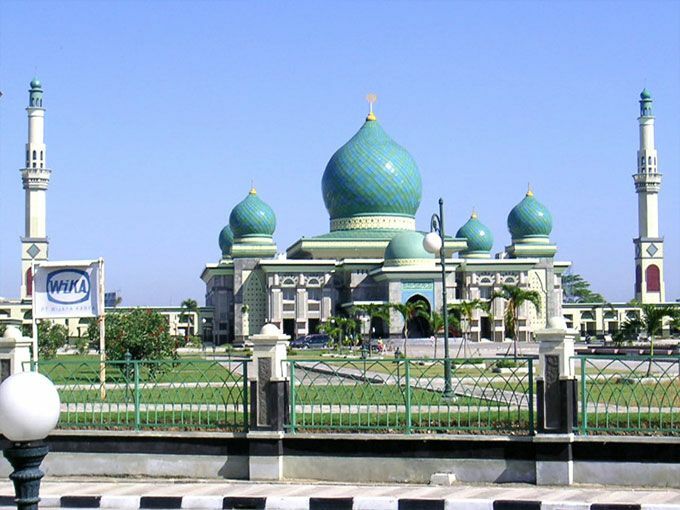 Well, one of the most unique designed mosques in the country that you have to visit is the Dian Al Mahri Mosque. This amazing mosque, which is actually also known well as the Golden Dome Mosque, will definitely make you drop your jaw especially when you pay more of your attention to its glamorous architecture. The dome that is plated with gold can reflect the sunlight awesomely, so that you will find that the mosque will have the more fabulous look somehow. However, in case you really want to come there, it is open for the prayers and visitors every day but Thursday. So, it will always be a very nice idea for you to go to this place whenever you go to the City of Depok which is located on the outskirt of Jakarta. The next distinctive mosque that you better visit is the Al Irsyad Mosque especially when you go to Bandung City in West Java. The reason why you have to visit this particular place is because it can be not only a comfortable place for praying, but also a mesmerizing spot to admire and excite your eyes for sure. Unlike the other mosques with the ordinary design you can find in the country, this one does not have any dome to complement the top side of the building. Furthermore, the other thing that will definitely steal your attention is the calligraphy that is written on the wall of the mosque. The wall itself was made of the stacked stones that will allow the air to flow naturally. So then, it can be more eco-friendly in order to suit the concept of the mosque as well as possible. In addition, this mosque is quite large because it can accommodate up to 1,000 people at once. After putting together, those are several majestic and Unique mosques in indonesia you have to visit. All of them will absolutely be the comfortable place to worship God and show you the beautiful and impressive decoration at the same time. So, it is so obvious that you cannot miss all of these mosques from the list of wonderful places you have to visit in your life. Traveling to Kampung Arab in Bali Indonesia is surely one nice thing to do with your family. That is because this shopping district has a lot of stores where you can find a lot of nice things. Because of that reason, you will need the best Kampung Arab accommodation based on your family need if you are going to spend some of your days in Kampung Arab. If you are looking for the best accommodations that will suit your family need, you might want to try some of these options below. That is because these accommodations below are considered as some of the best options that you can get for your family travel to Kampung Arab in Bali Indonesia. The first one is Grand PondokPuriAyu. This hotel might be a hotel with the lowest star that you can find around Kampung Arab. That is because this hotel is rated with one star only. Even though, you can make sure that this hotel has a lot of nice facilities that you will love such as the large TV screen with cable channels, Wi-Fi connection, the private bathroom, and many other things. You can also get the breakfast on the shared restaurant that you can find near the main lobby of this hotel. 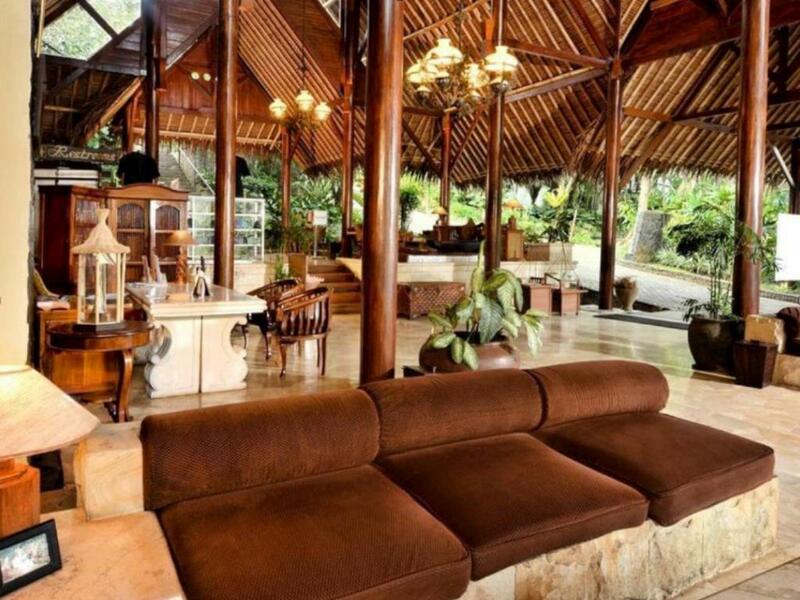 The second one is the Villas Bali Hotel & Spa. This one is something that you can say a little bit above the average, especially the room rate. That is because the starting room rate of this family hotel in Kampung Arab is reaching 270 dollars a night. Even so, you will not need to worry about the number of money that you spend on this hotel. That is because this hotel has a lot of nice facilities for your family travel needs, especially if you have kids. The third one is Premium Villas Seminyak. Similar with the second option, this hotel also offers you the price that is a little bit above the average. Fortunately, you will not need to spend more than 200 dollars for spending a night on this hotel. As an addition to that, the natural environment is one thing that you can simply say as the main attraction of this hotel. You can find a lot of nice facilities on this hotel too such as the private pool, the outdoor pool with garden view, and the bar. This is just a nice place to stay if you are going to Kampung Arab with your family. For your information, the hotel options that you can find near Kampung Arab are a little bit limited. That is because most of those hotels are not that near to the main spot of Kampung Arab. 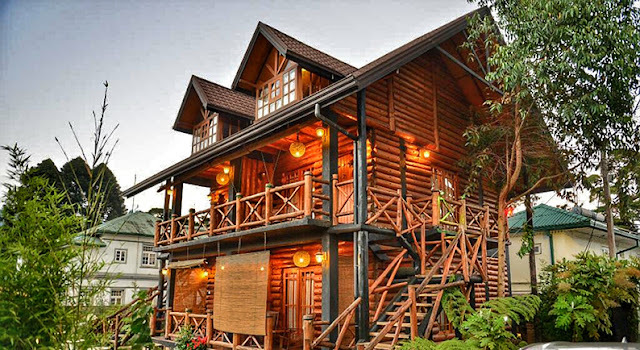 Even though, there are some nice family hotels in Kampung Arab that will surely suit your needs if you are visiting Kampung Arab with your family. Therefore, make sure you are choosing the best hotels to stay in Kampung Arab if you are traveling to this place with your family. The pleasant hill station of Ranikhet is dotted in the Almora district of Uttarakhand. It is at a height of around 1,829mts above the level of sea. 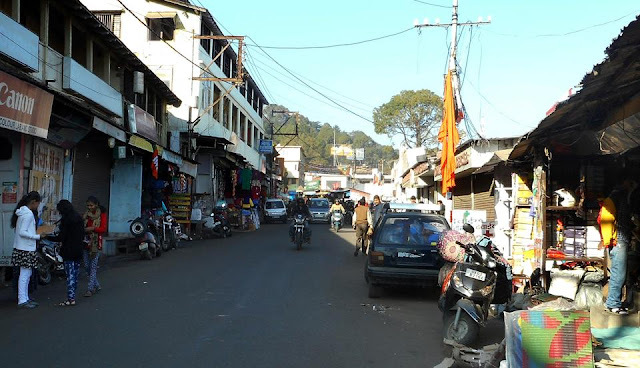 Ranikhet has numerous places to soothe the minds of visitors. If you are strangled in your tensions and worries, you need some fresh air. Just book resort in Ranikhet for your stayover and taste the majesty of this beautiful hill station. The diverse tourist spots of this station will rejuvenate you and fill you with delight. Have a peep into a few of its destinations. Majkhali is a stunning sightseeing area and it provides a streak of mighty views of Mount Trishul. The spot is ideal for the fellows who are intensely in love with nature. People carry out their picnics at this spot. The whole area is a beautiful place to spend a quality time with your relatives, friends and dear ones. It is quite at a distance from noise of city. The visitors can dip in the melodious tunes of quiet surroundings and soft chirping of birds. Talking about natural sites, Chaubatia Gardens have beautiful landscapes and vistas. It has been considered to be one of the premium spots to visit in Ranikhet. It is famous for its beautiful orchards of plums, apples apricots and peaches. It is located at a distance of ten kilometres from Ranikhet.The place is one of the finest specimens of step farming in Himalayan zone. The orchard has more than two hundred varieties of fruits and flowers. You can easily carry out a delicious picnic at this spot, amidst phenomenal sites! Bhalu dam is another fine spot to visit in Ranikhet. It is a small lake formed artificially. It is located at a distance of around three kilometres near Chaubattia Orchard. The lake was created in the year 1903 by the British Government. The site of this dam is full of artistic and tranquil marvels. A small but beautiful garden near the dam is wonderful. The singing of the birds, the freshening breeze and splendid snow-capped valleys make the whole area of this dam a perfect relaxing spot for everybody. The inspiring dam sight is open throughout the year for the traveling enthusiasts and nature buffs. Ranikhet is full of so many sunset points that cater view of the snow-capped Himalayan Mountains. The points are believed to be one of the most fascinating places to visit in the city. The most prominent amongst these are Machkhali located near the Woodvilla Point between Ganiadeoli and Transit Camp. The spots boast about their charm, loveliness and charisma. You can relish a pleasant time at this place that too in the absence of any uproar. So, in case you have been planning to spend precious time with your family or friends then you can plan about these sights. The outstanding views of sunset and vibrant ambience in lap of nature; what else you can ask for? So, just plan out a trip to Ranikhet. Look for hotels in Ranikhet with tariff and book a suitable one for your stayover. Once you go through its destinations, you will certainly feel rich and fresh. The comfy green hills, the vast flora and fauna and sophisticated view of the Shivalik ranges and Doon Valley enthral thousands of tourists to Mussoorie every year. The hill station is famous not only for its scenic beauty but it has also grown into a noteworthy centre of both education and business too. Mussoorie is positioned at a distance of around 35 kilometres from Dehradun. It is at a height of around 2005 mts above sea level. It is snuggled at the feet of Himalayas and is popularly known as Queen of the Hills. You can plan your next holidays here, just book rooms in reasonable 5 star hotels in Mussoorie and enjoy a memorable time with your family. 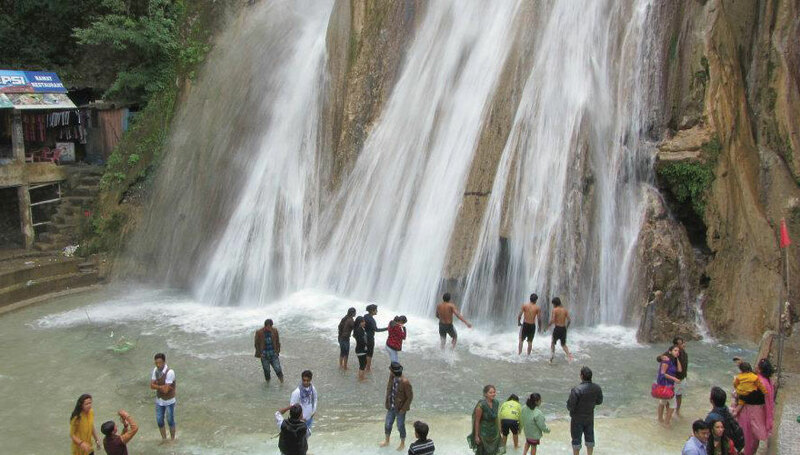 Bhatta falls are situated around 7 kilometres from Mussoorie. The place is a hypnotic destination and is far from the worries of commercialization. The destination has turned into a cherished tourist spot and people visit this place in a large number to enjoy the thrill and magnificence of such falls. An amazing thing about the spot is that it is vastly photogenic. The good-looking backdrop, animated surroundings and melodic sounds of water falls make this place worth visiting. While you are there, don’t forget to taste the freshness of cool water pond! Mossy Falls: is located in a profuse forest and is one of the chief tourist spot in Mussoorie. It is just seven kilometres from hill station. The gorgeous scenic views and serene surroundings will surely make you fall in love with this friendly spot. The melodious surroundings and the rhythmic aura of this place will fill you with natural music. Cherry on the cake is the spellbinding ambience! Kempty Falls is enclosed with charming mountain ranges and it is one of the main tourist places in Mussoorie. It is mapped at one thousand three hundred sixty-four metres and provides the visitors and tourists with so much of excitement and charm. Here, in the middle of the natural sites, gorgeous landscapes, pulsing sounds of water falls, anybody can feel fantastic. If you are one of the fellows who love nature to the core then it is the perfect place for you. It is located extremely near to Mussoorie and has fine sites and attractive aura. The trekkers love the part splendid around these mesmerising waterfalls because of its stunning backcloth. 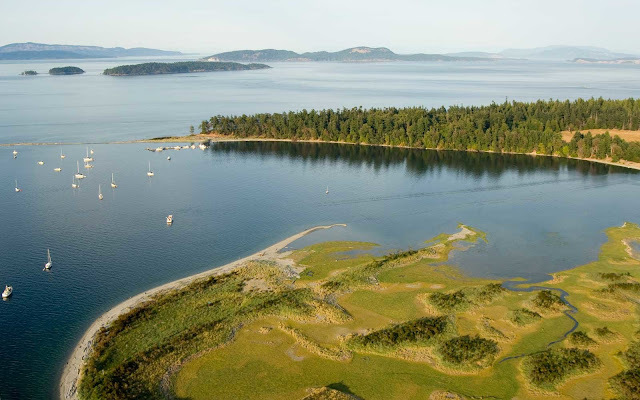 If you love picnics, this spot can be picked for a fantastic picnic with friends or family. While you visit the falls, make sure you are carrying your camera because the enticing sites will temp you throughout. Thus, the moral of the story is that Mussoorie has always enticed thousands of tourists. It will surely set the stage for you too. Just find out the best hotel in Mussoorie and do your stayover booking. Once you are there, you can walk through plenty of waterfalls and beautiful destinations. After all, what else you want for a perfect holiday with friends or family?